“Ingrid King defines what it is to be a “cat person.” She doesn’t just live with them, observe and write about them; rather, she delves deeper, reflecting a natural sense of empathy and kinship with cats. There is an intrinsic bond with the feline world on display in casual conversation with Ingrid, as well as in her writing. Ingrid brings us closer to understanding the everyday reality of cats and, finally, what we can learn about our own lives through better appreciating theirs.” – Jackson Galaxy, Host of Animal Planet’s My Cat From Hell. I am the award winning author of Buckley’s Story: Lessons from a Feline Master Teacher, Purrs of Wisdom: Conscious Living, Feline Style, Adventures in Veterinary Medicine: What Working in Veterinary Hospitals Taught Me About Life, Love and Myself, Tortitude: The BIG Book of Cats with A BIG Attitude, and Purrs of Wisdom: Enlightenment, Feline Style. I’m a former veterinary hospital manager turned writer. During my twelve years of working in various facets of the veterinary profession, I gained a thorough understanding of pets’ and owners’ needs in what can often be a challenging, stressful environment. I realized that pet owners are often afraid to ask the tough questions, and resort to the internet to find answers to their pet health questions. Even though there’s a wealth of pet health advice available online, it can be difficult to find information that is current and factual. My mission is to provide accurate and well-researched pet health information to my readers. 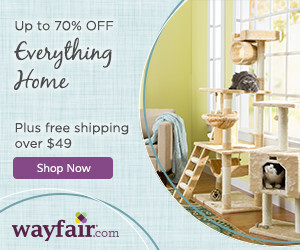 My passion, and my focus on this site, are cats and cat related topics. My articles have been published in Cat Fancy Magazine, Animal Wellness Magazine, Kittens 101, and numerous other publications. I’m a certified veterinary journalist and a professional member of the Cat Writers Association. I’m a Reiki Master Pratitioner and owner of Healing Hands. I am trained in traditional Usui Shiki Ryoho Reiki. I integrate Reiki with my natural intuitive abilities and tailor each session to develop the best experience for each individual client, be it human or animal. You can contact me via e-mail at consciouscat@cox.net . Would you like to consciously create a joyful life for yourself and your cats? Are you looking for information to keep your feline family members healthy, happy and content? 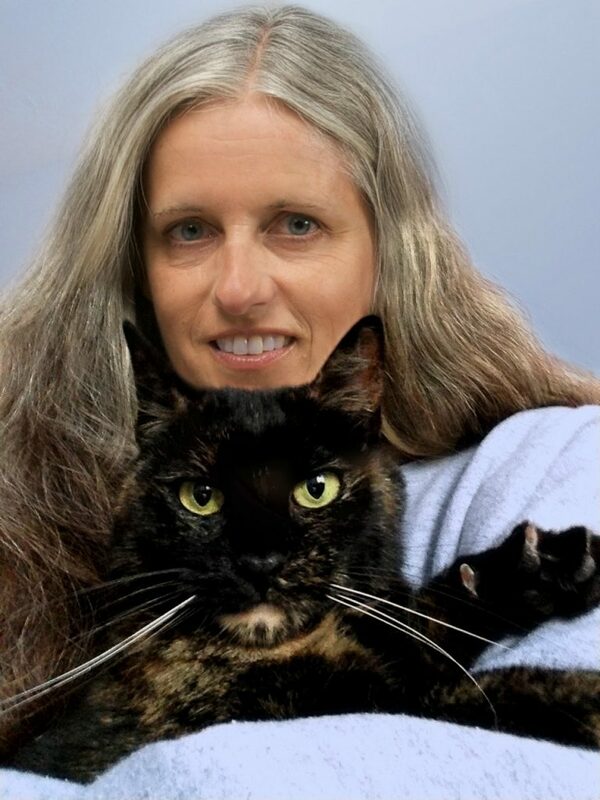 The Conscious Cat is your comprehensive resource for conscious living, health and happiness for cats and their humans.The name The Conscious Cat came about because cats have been some of my greatest teachers along my own personal journey of consciously living each and every day. On this site, you will find expert advice and information about feline health, nutrition and lifestyle. I’ll share my thoughts on cats, books, health, life, and other topics. The Conscious Cat was inspired by Amber, who was the original conscious cat. She was a wise old soul in a feline body who shared my life for ten years until she passed away suddenly on May 13, 2010. She shared some of her wisdom with us mere humans in her own column, Amber’s Mewsings. You can read Amber’s full story here. This blog also contains lessons from Buckley, the subject of Buckley’s Story: Lessons from a Feline Master Teacher. My two cats, Allegra and Ruby, are regular contributor to this site in their popular columns, Allegra’s World and Ruby’s Reflections. We hope you’ll enjoy our site. 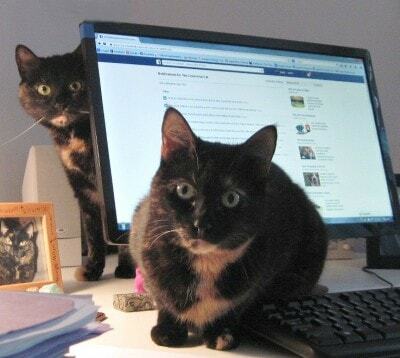 Please join our community of cat lovers: sign up for our newsletter and join us on Facebook and Instagram. Your comments and feedback are always welcome. If there are topics you’d like to see covered, send me an e-mail. And if you like what you see, please tell all your friends about it! The information shared on this website is not a substitute for veterinary care. Disclosures: Some of the links and advertisements on this blog are affiliate links. This means that if you purchase something by clicking through on one of these links, I will receive a small commission. Product giveaways are offered as a service to my readers and are sponsored by the company offering the product. Entry rules may vary for each individual giveaway, and are disclosed at the time the giveaway is offered. Winners for all giveaways are chosen by random drawing. The Conscious Cat is a participant in the Amazon Services LLC Associates Program, an affiliate advertising program designed to provide a means for sites to earn advertising fees by advertising and linking to products on Amazon.